There’s nothing quite like a fresh new year to help you realign your goals, set new goals and get organized for the awesome year to come! 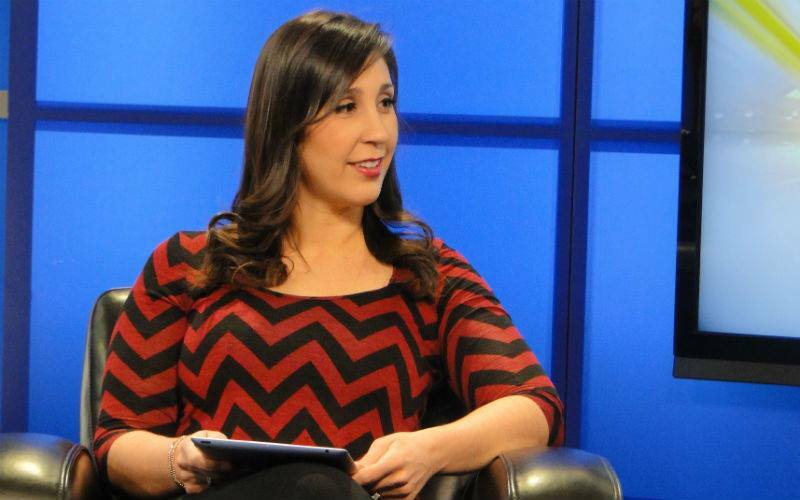 I visited the CTV Morning Live set in Saskatoon yesterday to share some apps that may help you stick with those New Years Resolutions! I visited a Body Museum over the holidays and one of the exhibits featured the respiratory system. Something interesting that stood out was a giant sign on the wall that said something along the lines of “Every pack of cigarettes smoke shortens your life by 3 hours.” There was then a bin where people could put their cigarettes in and start on the path to better health. I thought that was a great motivator to put a number to the damage that smoking causes your body instead of just saying “Smoking is bad for you.” That number really drives home the impact that smoking has on the body. I found that the Quit It app did something very similar by not only telling you how many days, hours and even minutes you’ve been smoke free, but shows you how much money you’ve saved, how much tar you HAVEN’T put into your body by staying smoke free and how many cigarettes you haven’t smoked. 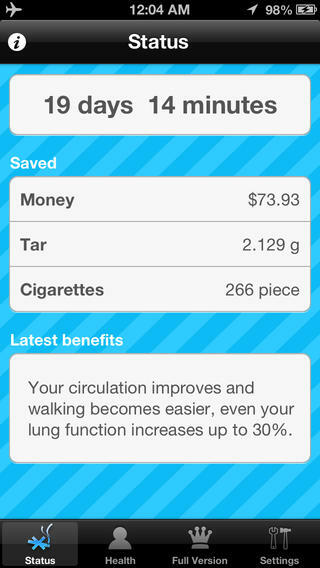 It even gives little motivating health tips to tell you exactly the benefits you are giving your body by quitting smoke (ex. “Nerve endings begin to regenerate and your senses of smell and taste begin to return to normal”). Last year we met Chris Kendall from The Raw Advantage and instantly knew we had a great app and client! 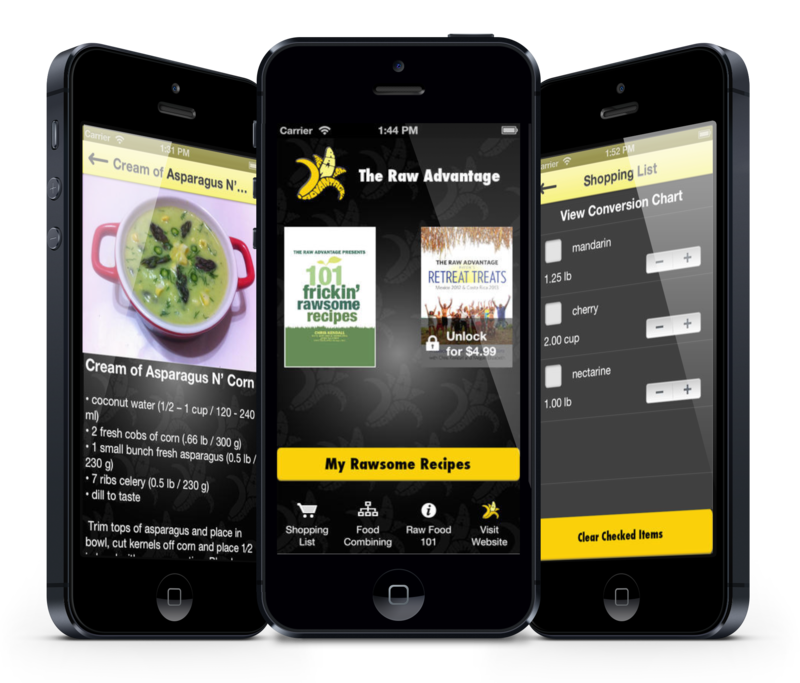 We worked with Chris to develop a mobile app that would showcase two of his recipe books: “101 Frickin’ Rawsome Recipes” and “TRA Retreat Treats“. I thought this was the perfect app to feature on the CTV New Years segment for two reasons: #1. Get Back On Track with Healthy Eating: Even if you don’t go 100% “Raw” you should still be eating 7-8 servings of veggies and fruit a day and I thought Chris’ innovative and simple recipes helped to do just that! Maybe you’ve eaten a few too many chocolates or helpings of stuffing this holiday season and Chris’ raw recipes are a tasty and easy way to get back on track! #2. Trying Something New! A lot of the recipes in this book encourage you to think of pairing food in ways you never thought before! Often I think people think of eating “raw” as just eating salads all of the time (I know I did until Chris educated us!) and Chris shows you through these recipe books how you can actually make some tasty and filling meals! Try something new this year and download The Raw Advantage Recipe App. Voice prompts that give you updates on your progress as you go! 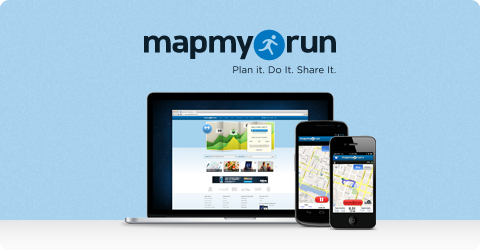 Compete on local Courses: receive automatic achievements and overall rank on Leaderboards for popular local runs and rides. I also like that you are able to share your route with others so you can run as a group or with a friend! What a great way to keep fit and have fun in 2014! Looking forward to discovering lots of amazing app in 2014. Happy New Year to all!